The most devastating tropical cyclone, ever, struck in November 1970 – the sixth cyclonic storm in that year’s North Indian Ocean cyclone season, and the deadliest. The Bhola cyclone formed over the Bay of Bengal and travelled north, gusting to 205 kph (130 mph) before making landfall in East Pakistan on the evening of November 12, unfortunately coinciding with high tide. The result of this deadly combination was a massive storm surge in the low-lying Ganges Delta region, already prone to serious flooding and quite incapable of withstanding an event with the destructive power of the Bhola cyclone, which generated a tide at least 4 m (13 ft) above average. The impact was shocking. West Bengal and Assam in India saw heavy rainfall and high winds that damaged housing and crops, as did the Andaman and Nicobar Islands, but the coast of East Pakistan suffered the most traumatic consequences. Bhola Island and Hatia Island were completely devastated, along with neighboring islands and the adjacent mainland coast. Some people were seriously affected by flooding, with 85 per cent of homes destroyed along with crops and 300,000 valuable cattle. Around fishing boats were destroyed and 45,000 on-shore fishermen were killed, subsequently creating a severe food shortage. Numerous larger vessels were sunk or damaged by the cyclone, but the major cost was measured in human lives, with hundreds of thousands killed. The Bhola cyclone was then the world’s worst modern natural disaster, and may remain so to this day. Either of two subsequent catastrophes – the 1976 Tangshan earthquake and the 2004 Indian Ocean tsunami – may have caused more deaths, but as casualty figures for each event were never officially established it is impossible to know which of the trio was the cruelest life-taker. Death toll: Unknown, with estimates varying from 300,000 to 500,000 fatalities. 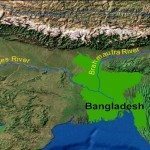 You should know: The Pakistani authorities were widely criticized for a lackluster response to the disaster – negligence that gave huge political impetus to East Pakistan’s opposition Awami League and hastened the onset of the Bangladesh Liberation war, a struggle that would result in independence from Pakistan.